Goodbye to 2017 and welcome to the beginning of 2018! Whilst I’m not the biggest believer in new year’s resolutions (i.e. 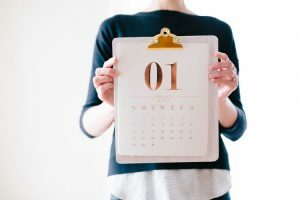 I believe that we can consciously choose to make a change at any point in time and not necessarily just at the beginning of the year), the start of the year is a good focus point for sitting back and thinking “what could I do to make my life better?”. A good way to start this process is to do a personal stocktake – not just of our physical things, but also of our own patterns, beliefs and thought forms. So how do we do this? De-cluttering is a great process to go through to get rid of the old and make way for the new. From a physical perspective, it’s pretty easy. Go through your wardrobe, cupboards, pantry, etc and ask yourself whether you really need the particular object or whether it can be thrown out (or better yet, donated to someone who will use it). You might be surprised to find that the decluttering process is very therapeutic! I know it is for me. Decluttering from our own patterns, beliefs and thought forms is a bit more difficult however. How can you actually make the choice to throw something out when it’s something that you’re not even consciously aware of? This is where your energetic body comes into play. We not only have a physical body, but an energetic one as well. Think about it – our body is comprised of electrons/neutrons/protons, and science has proven we have an electromagnetic field. However, just because it cannot be seen doesn’t mean that it does not exist and that you cannot feel it (e.g. the wind, WiFi etc). You can start to feel your energetic body if you rub your hands together for a while and then slowly hold them apart from each other – it’s that magnetic pull you feel. A great way to help declutter your energetic body is obviously to work on it! Energy healing can greatly assist with that, as can kinesiology and acupuncture. Massage on some levels also works with the energetic body and can help with moving some of energetic blockages. For the meditators out there, consistent meditation can also provide you with the tools and insights to shift your perspective. Good luck, and here’s to a brand new you in 2018! Previous Previous post: ‘Tis the season for …. a headache?